I like to paint in watercolor but also use oil, acrylic, pastel, pencil and fluid acrylic. 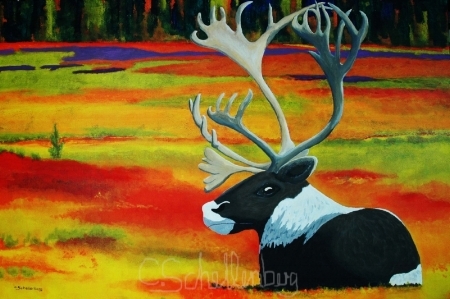 I focus mainly on landscape images but also like to paint animals, flowers and objects. Lately my painting style has changed and I try also to paint abstract paintings. When I hike through our beautiful mountains I see landscapes and objects to paint everywhere. And that is why my camera is always with me. Through my paintings I want to give my insight pictures to others. I also think about compositions and brush strokes and see how I would paint a certain image. As a child, I enjoyed walking through forests and over fields in different seasons. Fall was my favourite because I could walk through all the dead leaves that got blown around and gathered under trees and I felt free. And it shows all the beautiful colours of nature. I always loved colours and nice things. Sports and art classes were my favourite lessons. I didn’t start my art career with art school like my brother did. He is an artist as well and has his own gallery in Zurich. After school I started with an apprenticeship in house painting and enjoyed colours that way. I stayed in that trade for 13 years until my son was born, but have still work to do once in a while. Art is in our family. My grandfather was already an artist as well as a house painter. And my parents have a good hand at painting and crafting. 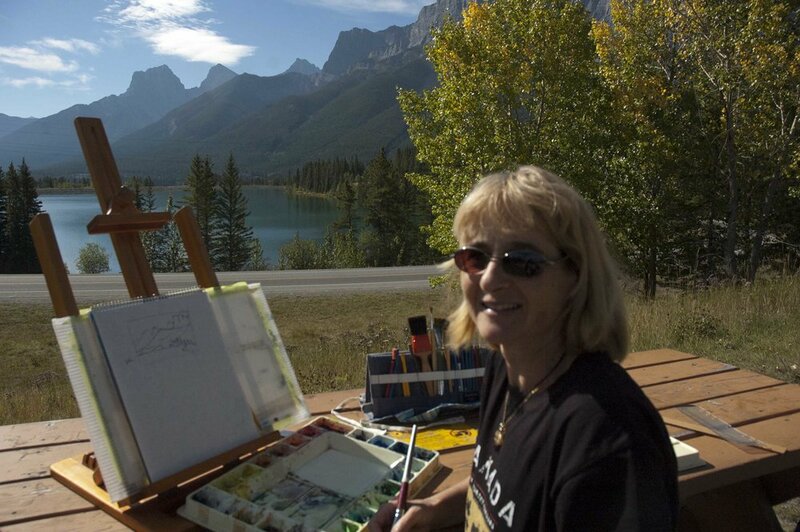 Claudia’s artwork can be seen or purchased at the Canmore Art Guild Gallery at Elevation Place, Silver Tree Studio on main street Canmore, the Canmore Museum, Alpine Helicopers Canmore and the White Museum in Banff.